When you get a brand new carbon steel wok, you have to season it first before putting it in good use. 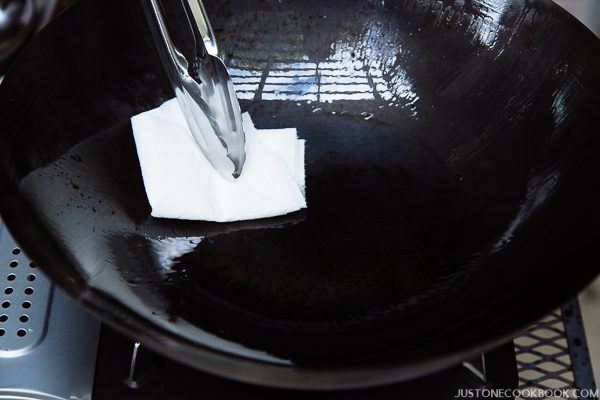 Follow these simple instructions on how to season a carbon steel wok. I’ve been interested in purchasing a good wok that I can use for a very long time. After searching high and low for the perfect wok in the market, I finally picked up this 14-inch carbon steel wok several months ago. 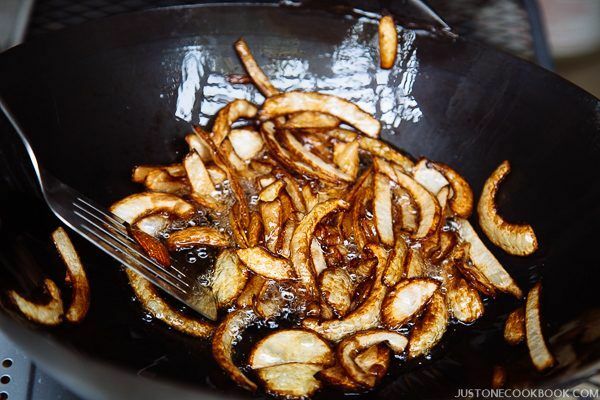 The wok is similar to the one that my mom has been using faithfully in her kitchen for many years. When my wok arrived, I couldn’t hold my excitement for the piece of cookware I have been waiting for and immediately put it in good use. In the past, I had used Calphalon stainless steel stir fry wok from Costco. The price was great, but after cooking with it many times, I realized the heat distribution of the wok is not optimal. Then I purchased the All-Clad stainless steel stir fry pan, which has 5-ply bonded construction with stainless steel, aluminum, and a thick copper core for even heating. It worked fairly well and I immediately noticed the difference in heat distribution which was the problem with my first wok. The drawback of the pan though is food tends to stick unless you put enough oil, and it doesn’t develop the desirable char taste to foods. 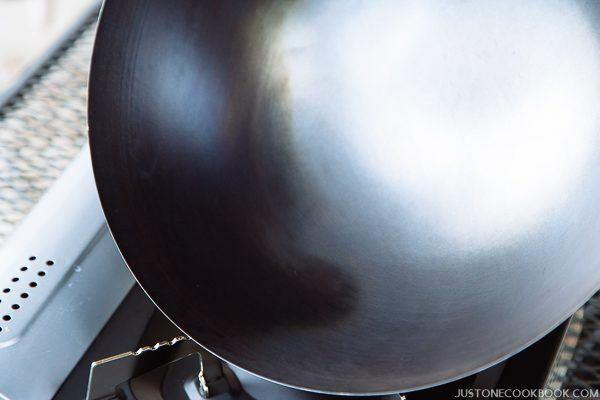 All in all, the All-Clad pan is still a good and convenient cookware. I actually enjoy using it. If carbon steel is not your choice, I highly recommend this. Woks are made of different materials with various price range, sizes and shapes. Selecting the right wok for your cooking can be as confusing as buying a car if you are not familiar with it or cook with one before. 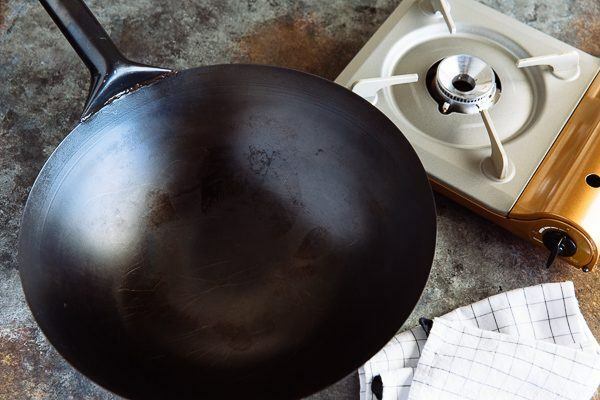 Luckily, a good, reliable wok happens to be the least expensive cookware you need to invest in the kitchen. 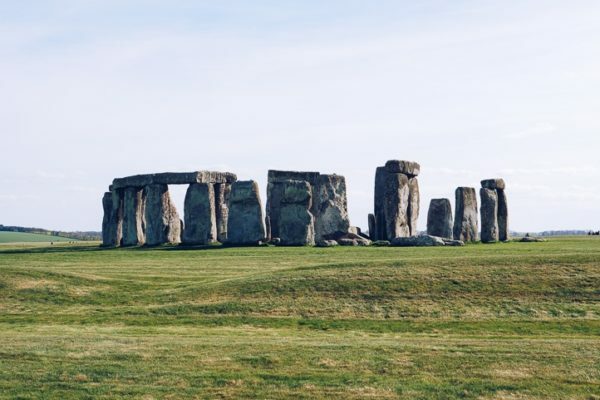 Weight – Carbon steel is a lighter material compared to stainless steel or cast iron. For stir frying, carbon steel wok is ideal since it is easier to maneuver for picking up and flipping the ingredients in rapid motion. 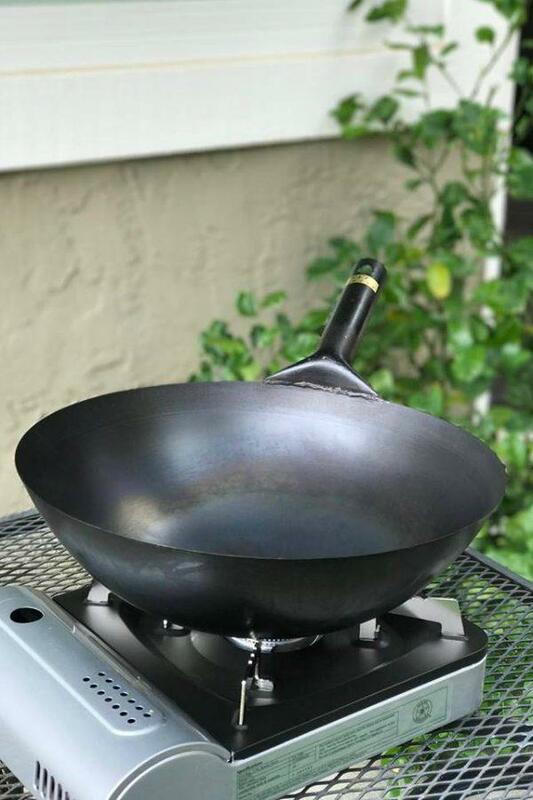 Heat distribution – Carbon steel wok heats up quickly and transfers the heat evenly. The foods get a nice sear in seconds the moment they touch the heated wok. Non stick woks, on the other hand, cannot handle high heat, which is least ideal for any foods that require cooking in high temperature. 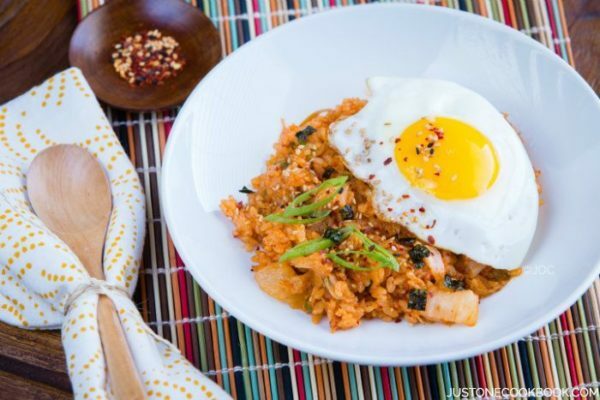 For cast iron, it takes longer time to heat up and cool down, which can be problematic for stir fry or dishes that require flash cooking. Durability – If you take good care and use it frequently, carbon steel wok will form its own nonstick coating and last you a lifetime. 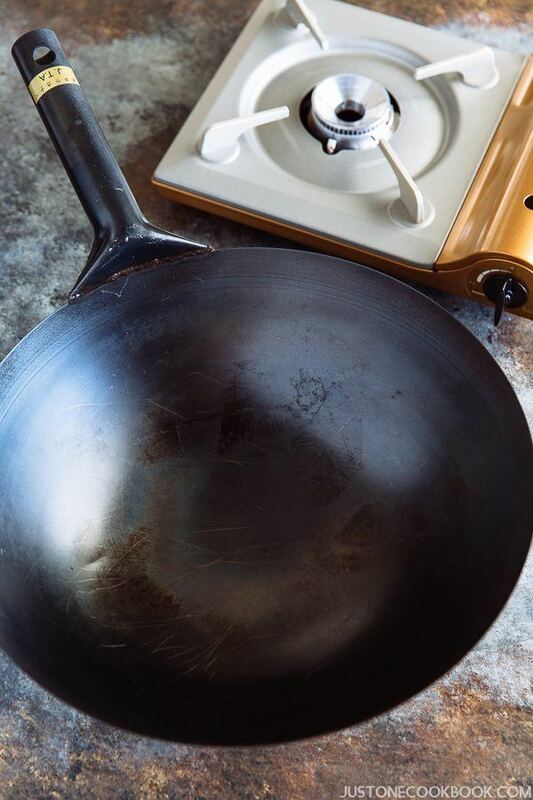 Rust may occur if you do not use the wok regularly, but that doesn’t mean you have to replace it with a new one. 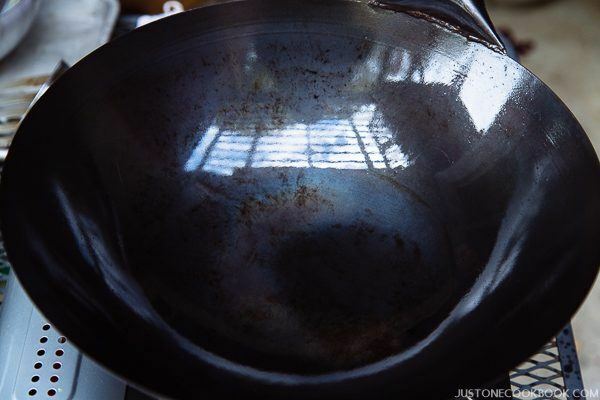 To remove the rust, you just need to rust it off and re-season the wok again. 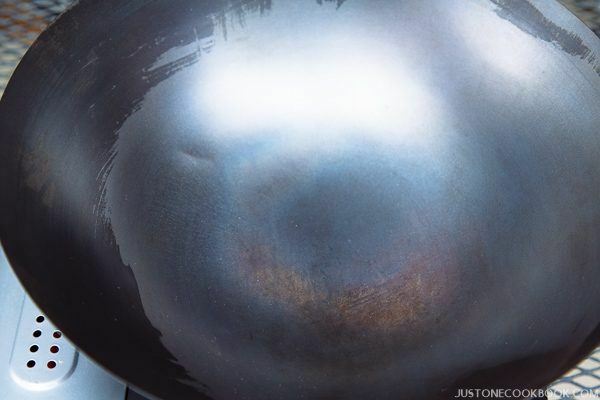 Versatility – Amongst the different woks, carbon steel wok is one of the most all-around cook pans you can imagine. In addition to stir-frying, it is also great for steaming, deep frying, shallow frying, boiling, blanching, smoking and so on. And above all, the beauty of a carbon steel wok is its ability of imparting a nice char flavor to the foods you cook in. 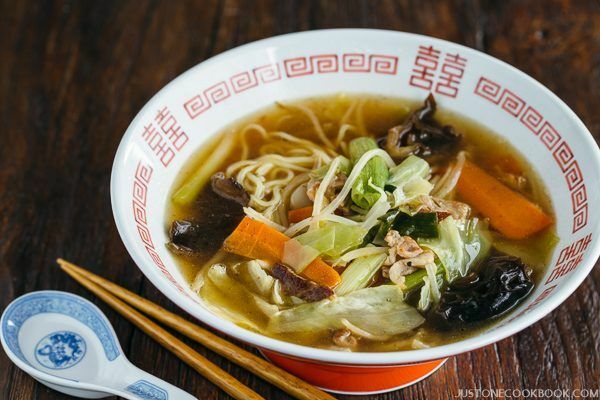 In Japanese kitchen, wok is called a chūkanabe 中華鍋 as in Chinese pot. 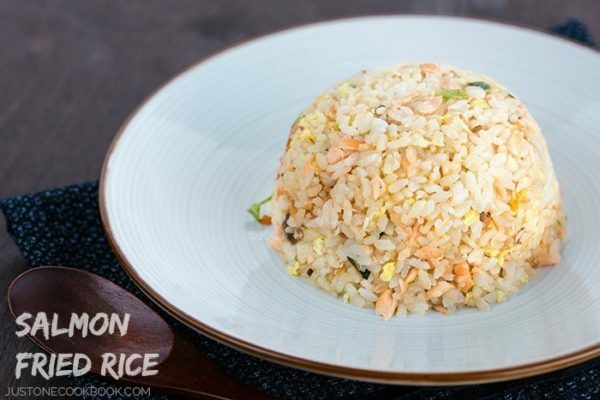 Just like the Chinese, we believe that a good working wok is best for stir fry dishes such as Yasai Itame (stir fry vegetables), Tan-Men, Shrimp Fried Rice etc. 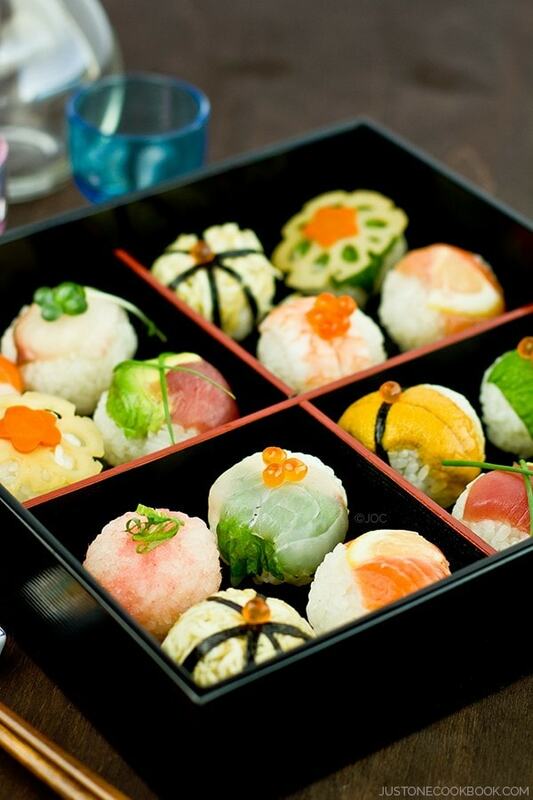 The hot wok, fast motion and working synergy that give foods a concentrated flavor and aroma is incontestable. Carbon steel woks arrived from the factory are covered in an anti-rust coating. 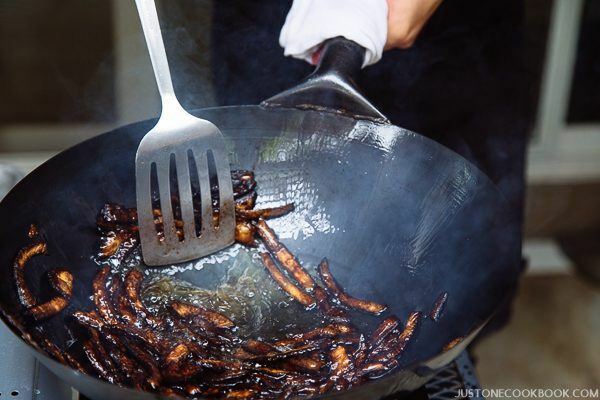 There are many different ways to “burning” the wok to get rid of the coating. I recommend seasoning the wok OUTSIDE of the house to be safe. It will create a lot of smoke, and you don’t want that inside your house. 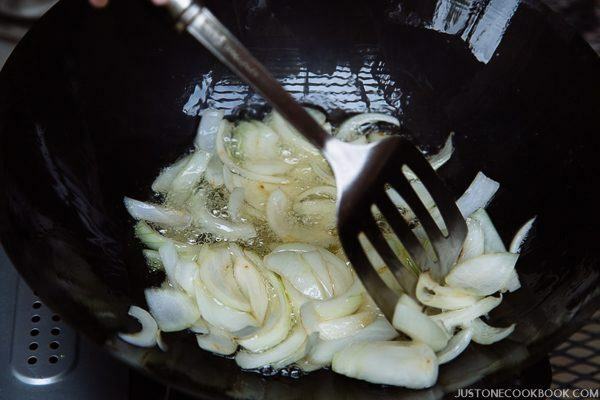 Once the seasoning is done, you just have to make sure to use the wok as frequent as you can. 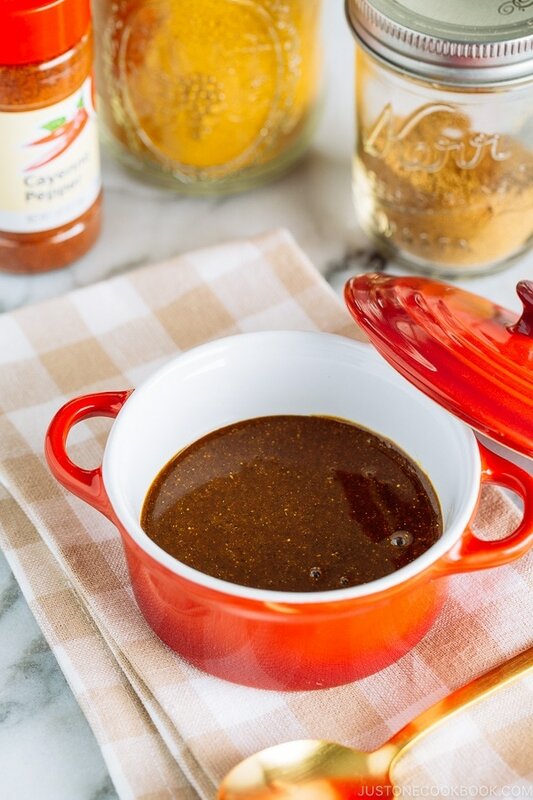 Like a good pal in the kitchen, the more you use it, the better it gets. I recommend doing this process outside the house using a portable gas burner (that you use for hot pot and camping) because the chemicals on the wok is not safe to breathe in. If you have no choice but doing it inside the house, make sure your kitchen is thoroughly ventilated by opening the windows and turning on the exhaust fan. 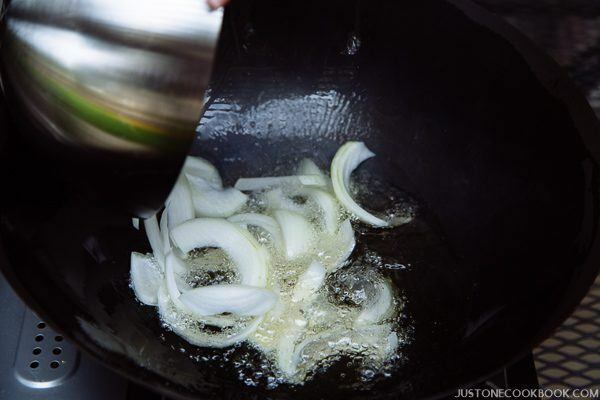 Prepare all the ingredients and equipments ahead of time so you do not have to be away from the wok once you start the cooking oil. 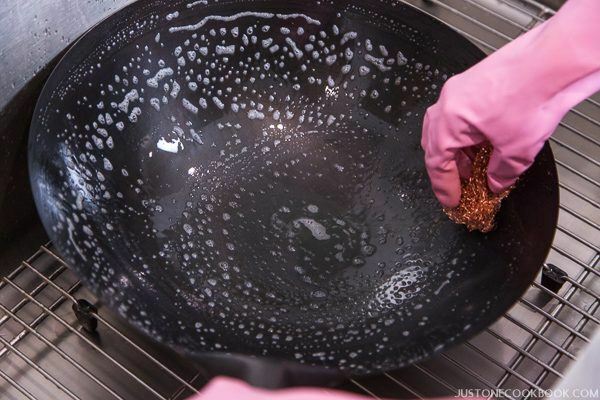 Using a steel wool, throughly scrub and wash the inside and outside of the wok in hot, soapy water. This will remove some of the factory machine oil applied by the manufacturer to keep it from rusting. Rinse with hot water and dry wok with a clean dry towel. 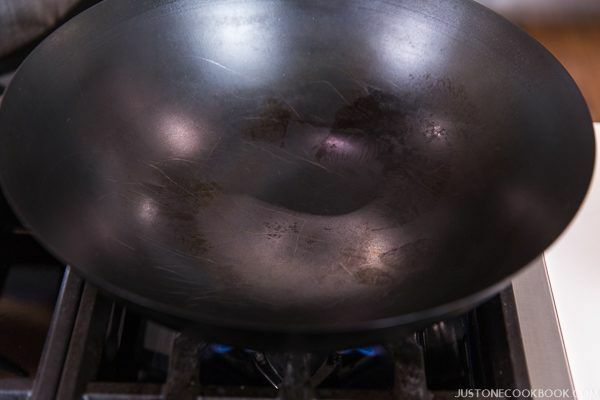 Place the wok on stovetop over high heat and start burning the wok. It will discolor from the center of the wok (Do you see blue-grayish color now?). 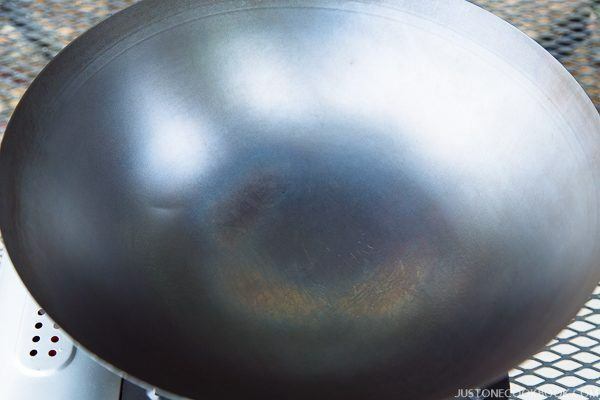 Move the wok, slowly turning and tilting it up to the rim and back until the entire wok changes color. 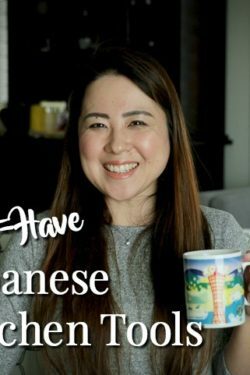 Using a sponge or the soft side of a scrubber (I use Japanese tawashi brush made of natural palm fibers), wash the inside and outside of the wok in hot water (no dish soap) and dry the wok with a dry towel. 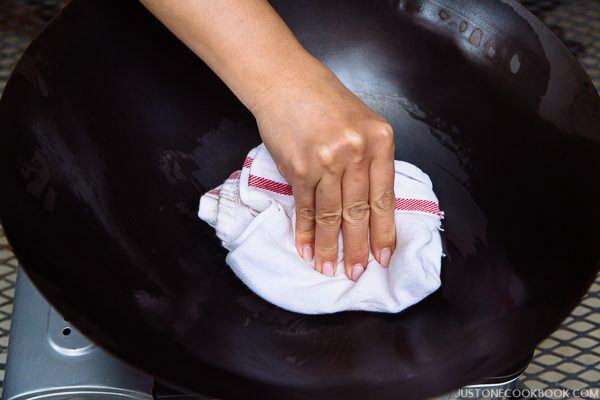 Place the wok on stovetop over medium heat to completely dry and turn off the heat immediately when water droplets are evaporated. 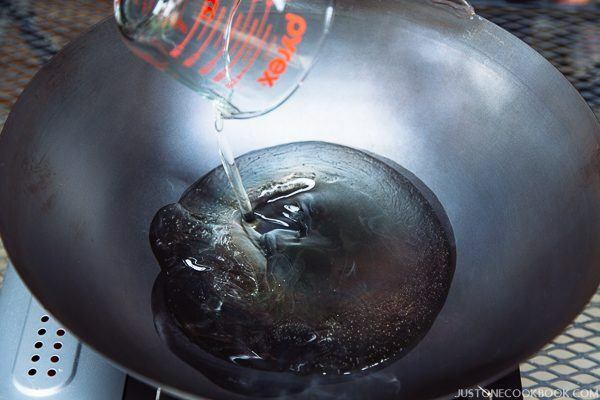 Add high smoking oil (peanut oil, canola oil, grape seed oil and sunflower oil, but NOT olive oil) in the wok and heat up the oil over high heat. 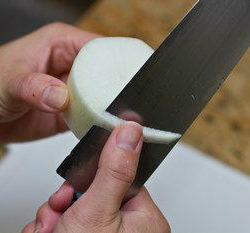 Add the onion slices, and use the stir fry motion to move both onions and oil around to coat the entire inside of the wok. 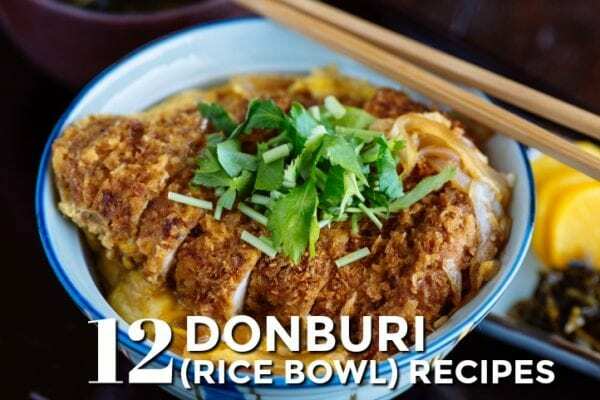 Cook for about 15 minutes. 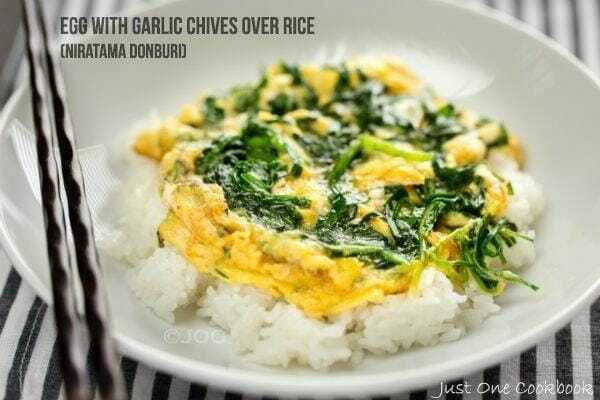 Pungent vegetables or aromatics such as garlic cloves, green onions, and ginger will reduce the amount of smoke produced. 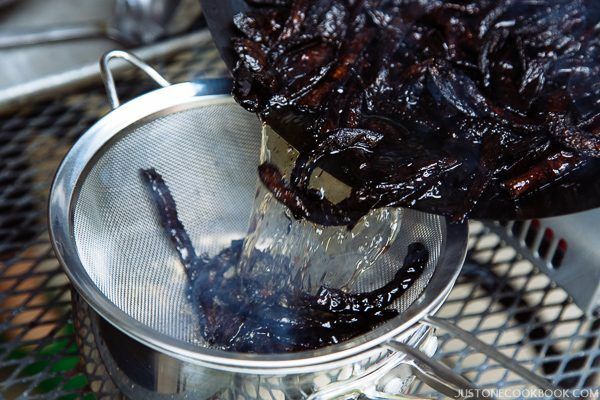 When you repeat this process, the wok will eventually turn into a nice deep black that will act as a natural non-stick coating. 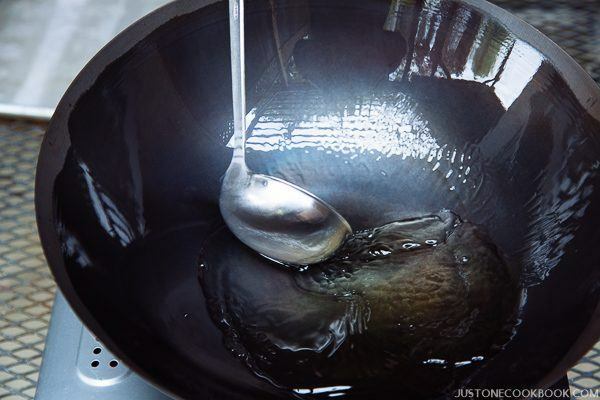 Once the wok is seasoned well with the oil, drain it over the sieve placed over a large pot. Wipe off the oil with paper towel. The wok is now ready to use. 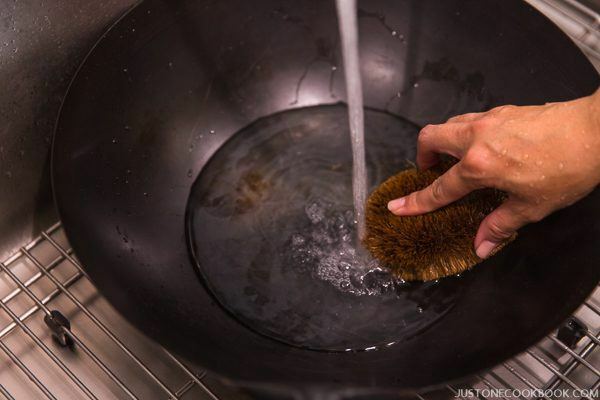 Using a sponge or the soft side of a scrubber (I use Japanese tawashi brush made of natural palm fibers), wash the inside and outside of the wok in hot water (no dish soap) and dry the wok with a dry towel. 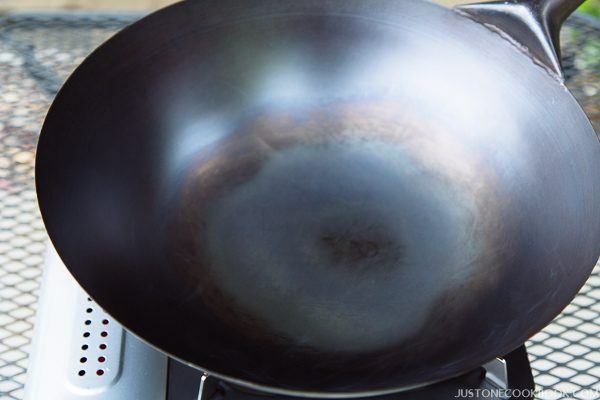 Place the wok on stovetop over medium heat to completely dry and turn off the heat immediately when water droplets are evaporated. Let cool completely before storing it. 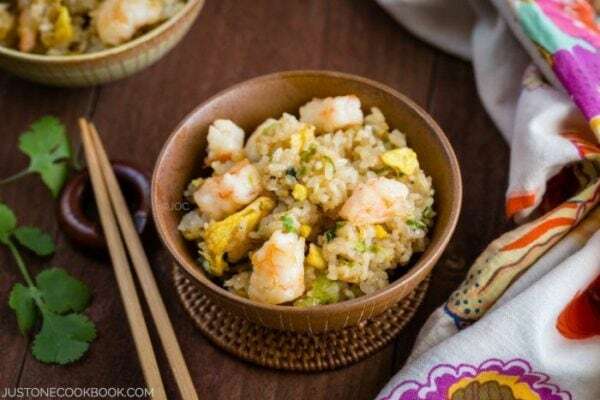 With these step-by-step pictures, I hope you will be inspired to get your first wok and start cooking up delicious stir fry dishes. 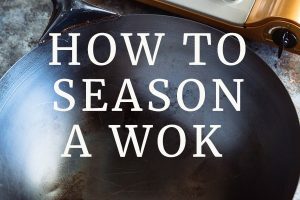 If you already own a wok and it is sitting in the dark corner of your kitchen, it’s time to break it out, re-season and give the wok a new lease of life. Thank you for this very useful information. I have tried several different woks over the years and have been disappointed. I will definitely get a carbon steal wok. This is so helpful! I’ve been somewhat satisfied with the wok I have but I’m definitely looking to get a new one. Perfect timing, thank you so much Nami! Very good ???? Bravo Zulu very informative! Hi where did you buy the carbon wok?